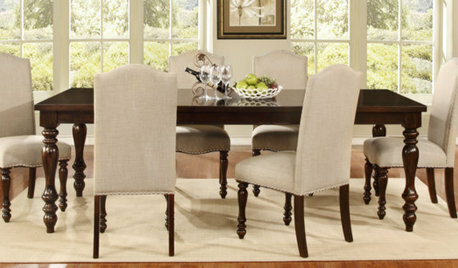 I'm digging the longford dining chairs. 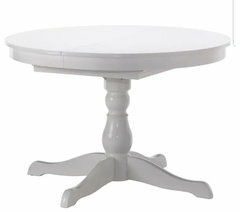 I would llove to pair it with a round dining table. I dont think I'm brave enough. I'd be having to wash them everyday. My 4 year old and dog are not the tidiest LOL!!! 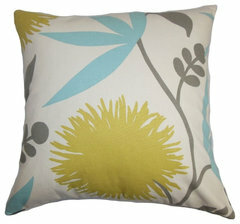 I do love the aqua with yellow. 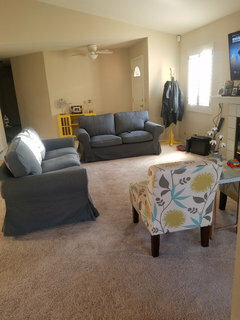 Do you think maybe a gray sofa will look nice? 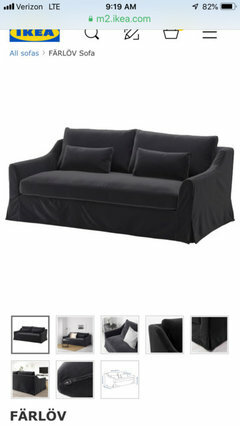 Yes a gray sofa would work. The biggest issue you’re going to have with gray is getting it to look great withthe carpeting which On my screen looks peachy? I would be remiss if i didn’t ask how much of an investment are you making here? You got rid of all your old furniture ......are you wanting Furniture that will just work as long as you’re in the rental? A year ? Two? Etc. Or are you planning on investing in furniture for the long haul? 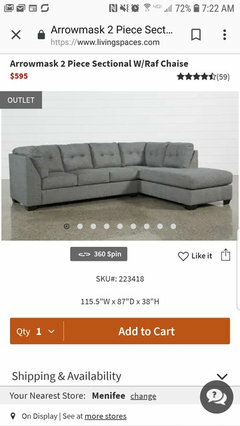 I know I said no sectional but this one keeps calling my name LOL!!! Do not, I repeat, do NOT, buy a living room set. 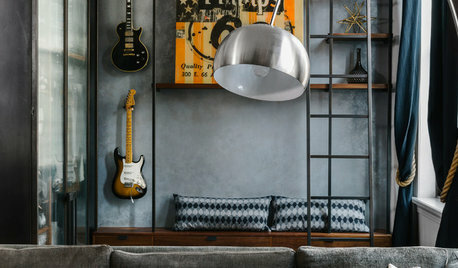 Unless you want your space to be boring and look like a furniture showroom, that is. Yes, I know made that mistake in the past. Also, since you seem to be looking at budget furniture, look at Ikea. For the price, their sofas will be much better quality and look better for longer than anyone else's. I agree with Ikea. The one you pictured are not a farm house style 1. 2. They have a box store style . You would be better going with Ikeas Ektorp or their slope arm one here. This one pictures is comfortable and deep and probably their most expensive looking one IMO based on style alone. Where is your TV going? Let’s decide that and then we can help you with layout. Idealy above fireplace? Float sofa facing that with a sofa table behind it and then bring in some occasional chairs for seating with a nice coffee table. Do you have an Ikea near you? 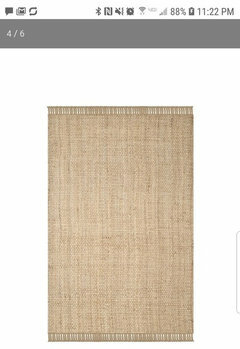 You can also pick up some great looking linen like drapery panels to flank you windows with. Have you checked out Sixpenny furniture? 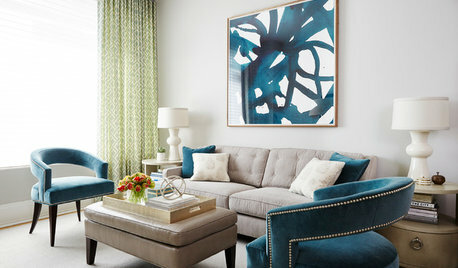 Their sofas are gorgeous with a hint of the style you're going for. Plus, they're down filled. The tv will be placed above the chimney. 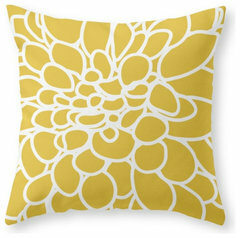 Here are some pillow ideas that will help you incorporate the yellow, gray and aqua discusseD. I have a pair of slipper chairs with the same design as the 3rd pillow. 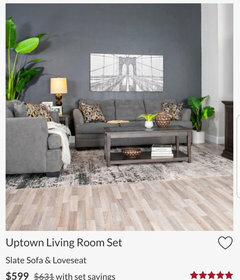 Shall I buy both the sofa and loveseat and incorporate the slipper chairs? Can you share a picture of the chairs Jessica? 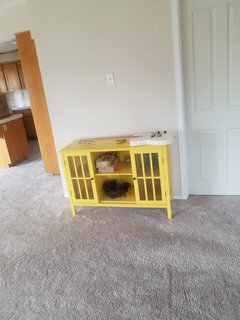 I also pulled a rug I was going to donate, and this yellow cabinet. Thoughts? Slipper chairs are not comfortable for the living room. You really need chairs with arms. The yellow cabinet is cute. I think the rug may be too small and it also looks a bit too cool against that carpet. 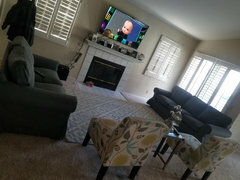 I think the chairs will work for accent chairs and additional seating when guests are around. If you do a love seat and sofa as your main seating I think those would work scale wise with the Ektorp and not block doorways. I think the rug is nice but it is fighting with the carpet color on my screen. The cabinet is cheery. Ok, rug will go in the donation pile Sofa and love seat it is. 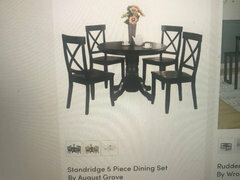 How about dining table? I'm not looking to spend over 500 on a set, since the sofa and love seat will be a little over a grand. 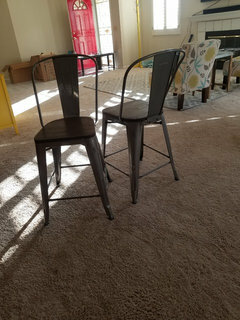 I do have 2 chairs that I was using I'll attach a picture in the comments. No loveseat. Get two armchairs instead. People don't like to share loveseats unless they're actual lovers, so chairs will be more useful and versatile. 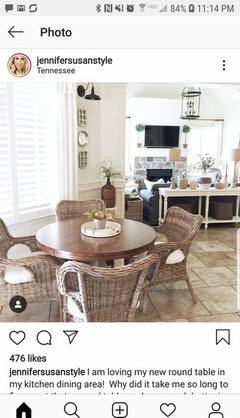 Those chairs do look more like counter or bar stools. 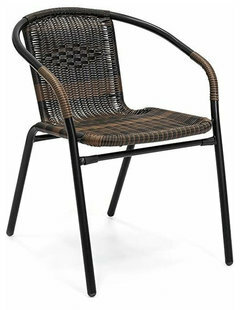 That said, most of those Tolix-style chairs are actually reasonably comfortable. But if they're counter or bar height, they won't work unless you get a pub table which I don't recommend. Check Ikea for tables and chairs. 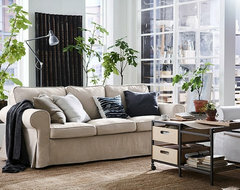 I like the ektorp sofa, and the slipcovers can be replaced down the line, if you move or change up color schemes. 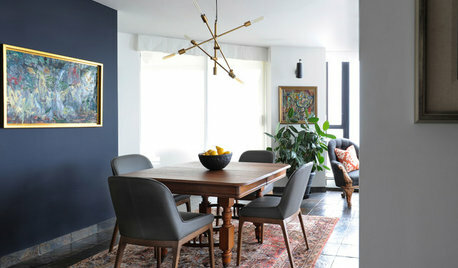 While you're at IKEA, take a look at their Ingatorp dining table. 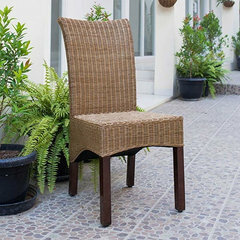 43" diameter, with a leaf that hides away to expand seating when you have guests. IKEA order was already placed yesterday afternoon for the sofa and love seat. I didn't bother going into the store, since it's a distance away and I'm busy unpacking and organizing. Just paid extra for shipping. They should arrive on the March 14th. I will post it in the comments. 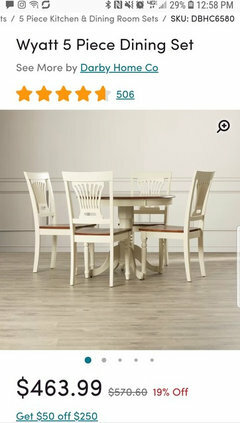 And it's from Walmart the chairs included are pricey so I'll have to look for alternative ones. As far as the counter stools I'm using them temporarily as pictured below. 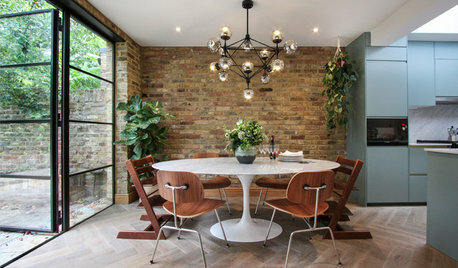 I really like this dining table. 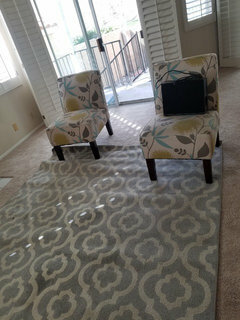 Thoughts on new rug? Since my rug went in the donation pile. My thoughts are you are really quick to throw things out that may work elsewhere for you. Just something to think about since you are on a limited budget. I understand your anxiousness to get things done but i think you need to step back and slow down before you get rid of things that need to be replaced which equals more money that you could be putting towards other things. 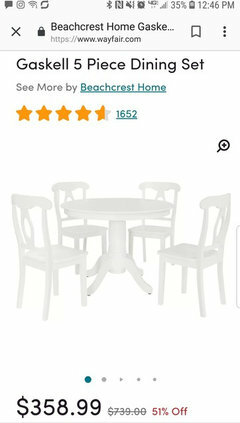 As far as the table and chairs ...... which can’t you afford? Did you look at IKEA as others suggested? 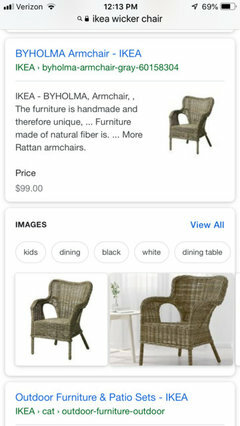 They sell wicker chairs very similar to those and great round tables. Also if you are interested in World Market i would going their shopping club. It’s free. They send out great coupons weekly for savings. The metal chairs. 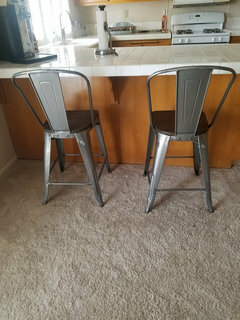 Somehow I’m lost on if they are bar stools or dining chairs? You only have two? 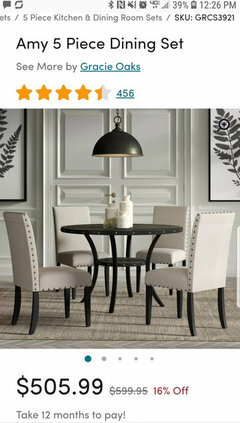 I assume you need four dining chairs? Since you're on a budget, skip the area rug. You have carpet, so you don't need it. And if you do a rug in the future, look for one that won't disappear into the carpet underneath. I agree with pink. You need to slow down. I see you already ordered the loveseat. I hope you don't regret it. I do admit I have been under lots of stress and anxiety lately When I say donation pile, I mean a pile in the garage that will eventually will be picked up by a donation truck. 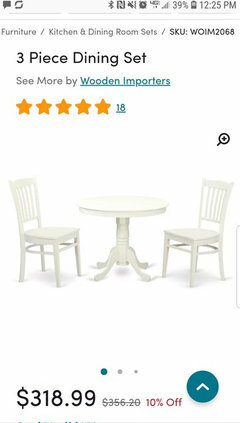 The round table posted is within price range, it's the wicker chairs that are too pricey. 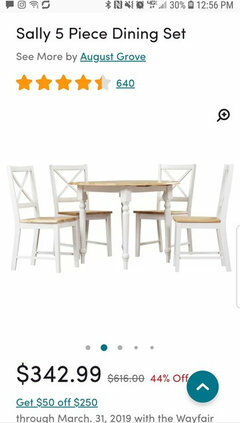 As I mentioned before I don't want to spend more than 500 on a dining table and chairs. The counter height chairs pictured, I've just been using as back up to have somewhere to sit and eat. I'm open to suggestions as you all been helping me tons. It's appreciated!! Deep breaths ;-). 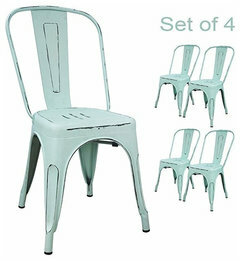 Sometimes with a tight budget buying a table and chairs as a set ends up being less pricey. These are all on Way fair. 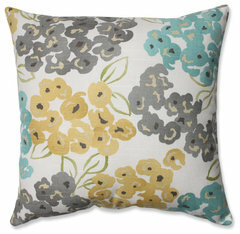 This one might be fun with the aqua to tie into your color story. 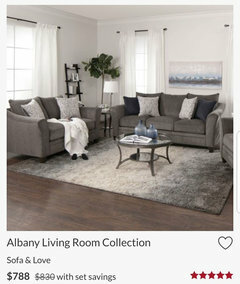 Jessica, exactly which sofa and loveseat did you order and in what colors? 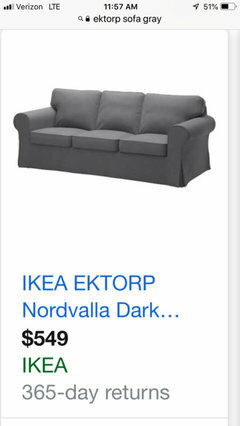 Groveraxle, I purchased the Ektorp sofa and love seat in gray. 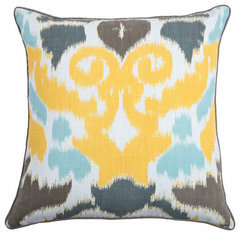 So I went on Wayfair and saw a few i like. I'm just not sure which one will go more with my sofas I purchased. The slipper chairs as in the print armless chairs you have ? 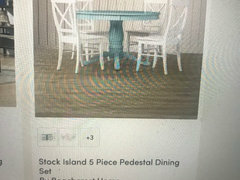 Those are too low to be used as dining chairs. If you have a rooms- to- go near you, they have better prices on sets too. Now for the placement. I just got home from work. IKEA just placed them like that. Place the longer sofa facing the TV. It makes the most sense for viewing the TV. I would place a console behind the sofa with its back to what i assume is the entrance. 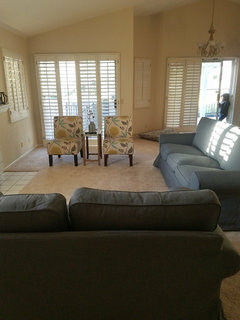 Place the two slipper chairs side by side where the sofa is in front of the window . Your last arrangement is right. Looks like the loveseat could shift a bit closer to the sofa. Can you watch the TV from there without killing your neck? 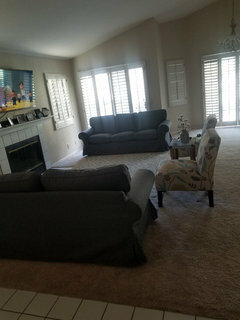 New living/dining rooms (to me). Need lots of ideas for furnishings! 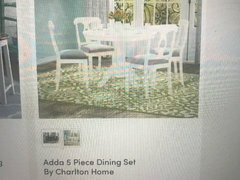 Need help with soft furnishings for a living and dining room! Master bedroom without dresser or chest? Outdoor beanbag recommendations for Florida sunroom? ?